It was an unexpected sight: a three-acre organic farm in South Burnaby, surrounded by busy shopping centres and industry outlets. Fresh organic tomato soup – the best I’ve ever had – was simmering on the stove for market day, and the outdoor fireplace lent a kind of fairy tale farm feel to the setting. On the table was a small quantity of free range eggs, local produce and healthy snacks for sale. 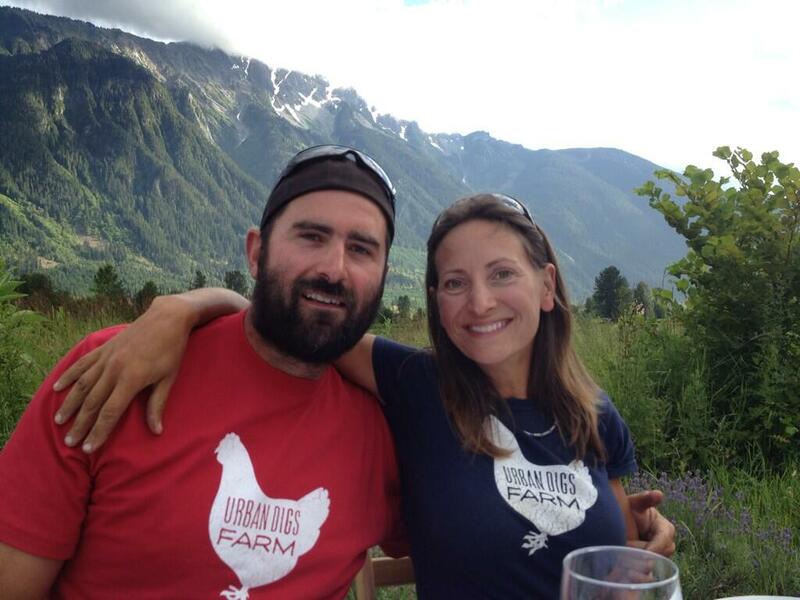 Given that owners Julia Smith and Ludo Ferrari work night and day, applying sustainable, ethical agriculture at Urban Digs Farm, I was very touched by the extra effort to make visitors feel at home. 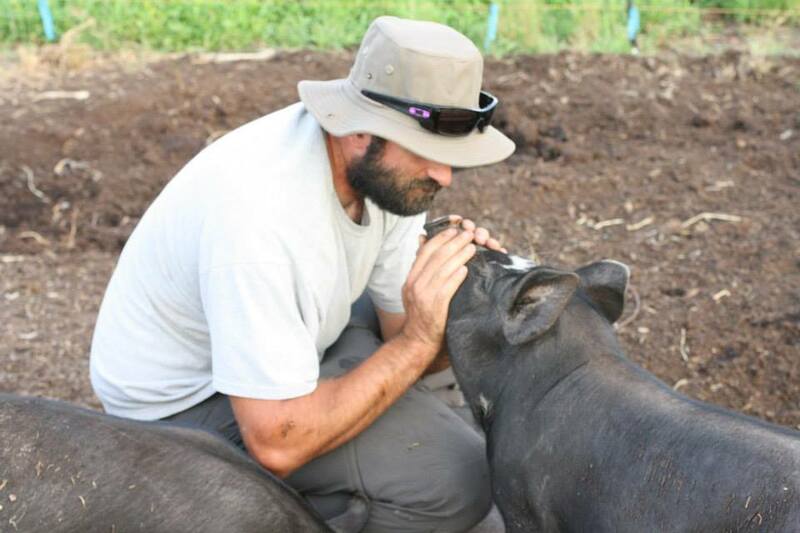 Despite the hard work, they love their job and they adore all their pigs, chickens and geese which are also ethically raised for food. What does it mean to ethically raise animals? From their perspective, it means opening their hearts and doing the right thing for the animals, our communities and our environment. 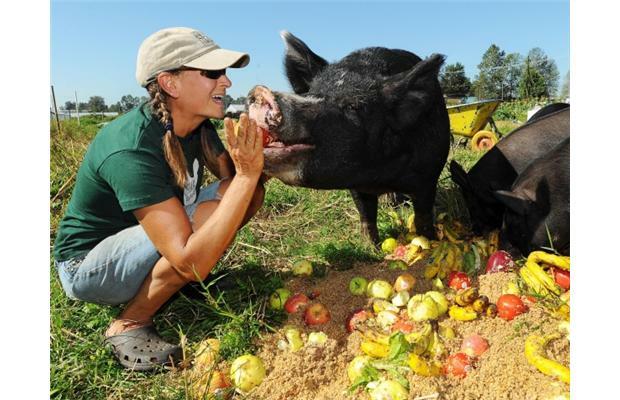 See my interview with Julia and you may feel the same huge gratitude for these farmers that I do. 1. 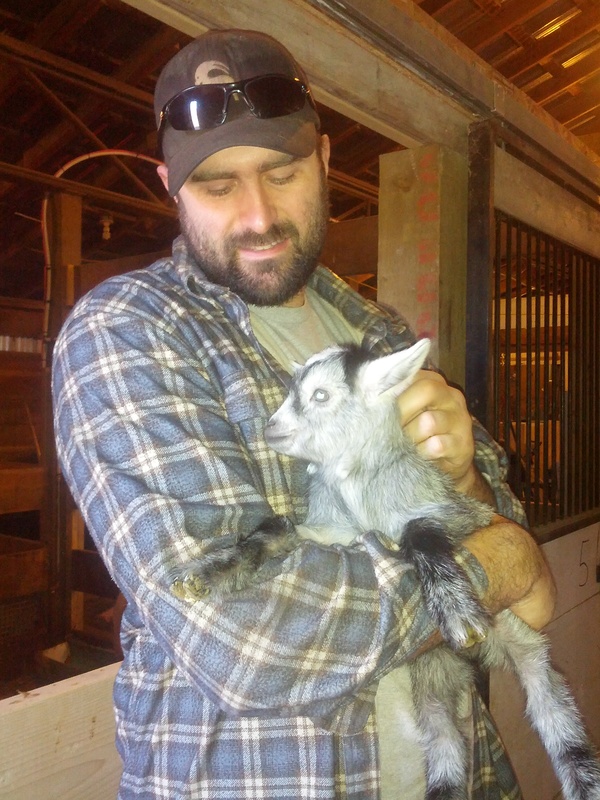 What does it mean to compassionately raise animals at your farm? During the time that we are raising our animals, we do not try to emotionally distance ourselves from t hem simply because it would be easier for us when “the big day” comes. While we are very aware that these animals will ultimately become someone’s dinner, they are entitled to an existence that is just as fulfilling and comfortable as any other living creature. 2. You fall in love with the same animals that are slaughtered. How do you emotionally process that? Our animals live a comfortable life and make an important contribution to a healthy agro-ecosystem and the end of their life is not a long drawn out process filled with fear and pain. That is a lot more than I can say for most people. We’re all going to die but humans are the only animals that know it. We need animals on our farm for the services they provide (i.e: fertilizer, weeding, pest control). Along with those services, meat in moderation is a sustainable part of a healthy diet. If I’m going to consume meat, what better way to ensure that the animals have the best life possible than to raise them myself? Anyone who is eating meat should come to terms with the fact that an animal is going to die. I’m just taking personal responsibility for that process. This level of involvement isn’t for everyone obviously but for me, knowing the whole story makes it all worthwhile. 3. Is there a difference in the taste and health value of ethically raised meat and conventional meat? Absolutely. Ask any of our customers. One of the most interesting differences is how well raised meat fills you up so much faster than conventional meat. It is indeed much more expensive but at the same time, you simply don’t need to eat as much of it to feel satisfied. 4. The biggest challenge people have with ethically raised meat is how expensive it is. Your thoughts? It is indeed more expensive but you need to remember that when you are buying sustainable meat from a small scale producer, you are paying the TRUE cost of that product. The price you pay at the checkout for meat on sytrofoam trays at the grocery store is NOT a true reflection of the cost. For example, in many cases, the feed those animals consumed was highly subsidized by the government so that portion of the cost is being paid through taxes. There is also the ethical and environmental cost. Yes, you can produce more meat for less money by cramming animals into small spaces and denying them access to fresh air and a natural environment. But you have to ask yourself what animal welfare is worth to you. Factory farms are also major sources of pollution but the cost of environmental cleanup is not factored into the price of that meat. There is also the cost to the local economy. When you purchase meat from a small scale, local producer, the vast majority of your money stays in your local community. When you buy meat at a big box chain store, most of that money leaves and very little of it trickles down to the farmer. The solution to the expense of ethically raised meat is quite simple. Eat less of it. We cannot ethically and sustainably produce enough meat to maintain current consumption and lets face it, it isn’t good for us anyway. Eating smaller quantities of well-raised local meat would make us healthier and be better for the animals, the environment and our communities. 5. You have a beasty box for sale, what is this? The Beasty Box is a subscription program supplying local, ethically and sustainably raised meat on a weekly basis. Our subscribers receive a wide variety of meat and value added products in quantities to provide 2 people with 2-3 meat meals a week. We produce some of the meat ourselves at our farm and source the rest directly from other small scale farms like ours. By purchasing whole animals, we are able to keep our costs down while still paying our farmers well. We work with 2 local butchers to cut the meat into prime cuts. Lesser quality cuts and offal (livers, kidneys etc.) are processed into processed foods like meat pies, stews & terrines.